Creeping line of coming events with "chameleon" background. 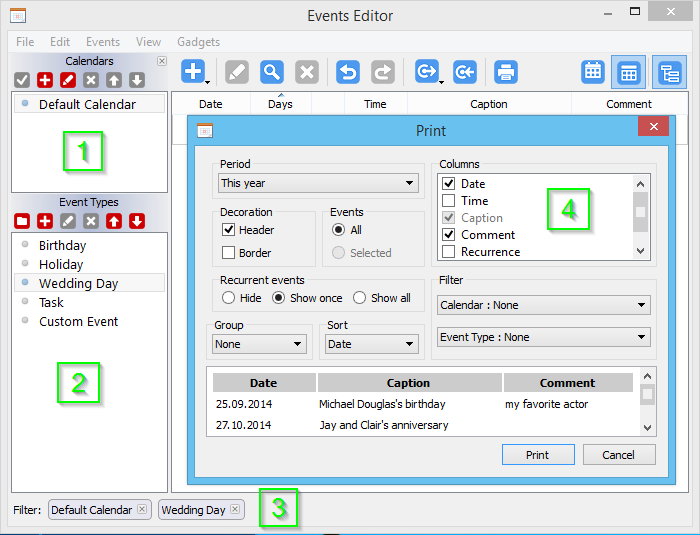 Custom and predefined event types with photos. To-do gadgets with different color themes. Smart, convenient and FREE application in 17 languages. 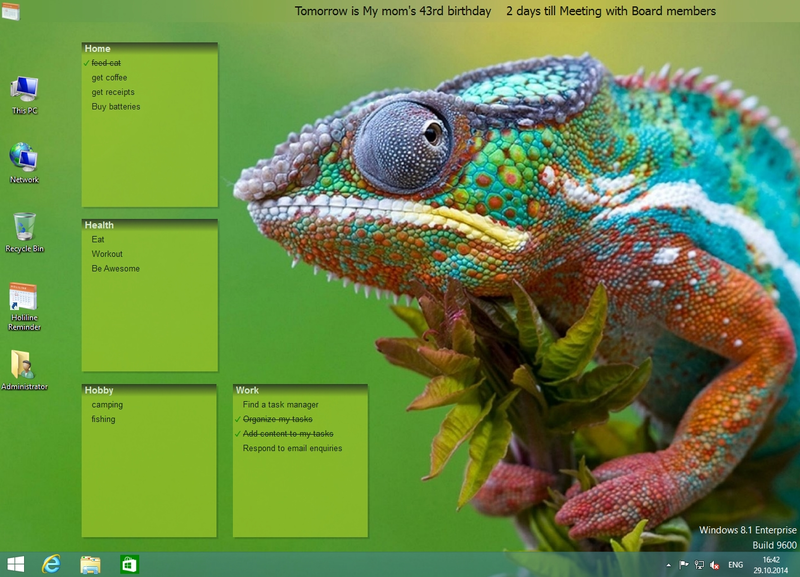 Holiline Reminder™ places birthday countdowns, special holidays, upcoming weddings and tasks in a creeping line bar that will stay at the top or bottom of your screen or over the Task Bar. It adjusts its background gradient in accordance with a Windows background wallpaper to fit ideally into the desktop. You can also select the font, the color, or the speed of running messages in the creeping line. 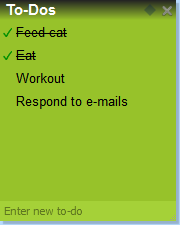 For each scheduled event you can add a custom photo and the creeping line will display it in a tooltip. Holiline Reminder™ 3 introduces new fashionable to-do gadgets. For a long time, we wrote down daily to-dos on paper - and plenty of people still do. 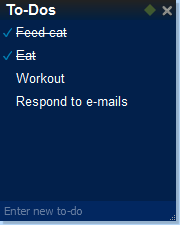 But Holiline Reminder™ To-Do Gadget lets you take your personal productivity much, much further. Supporting themes to-do gadgets will enrich your desktop and get things done faster, better, and more easily. Holiline Reminder™ Events Editor has a monthly calendar. All the days that have a scheduled event are marked on the calendar which makes it easy to check the upcoming reminders. It can also display a list of all the items in a database which is convenient for editing. In addition, the editor lets you export, import and back up the information. Holiline Reminder™ does its best to reduce the number of user actions needed to achieve a result. 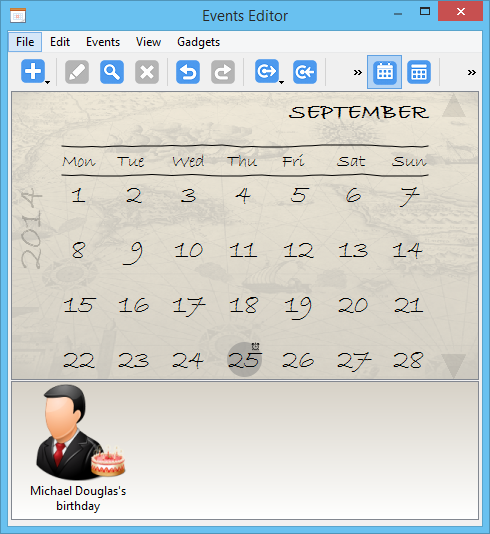 It allows you to fill in information related to different types of events. The classic appearance of the written message announcing an event can be supplemented with a photo or a comment. Moreover, the message can be set to appear with a certain number of days before the event's occurrence (this feature might be useful if you want to buy a gift for instance). 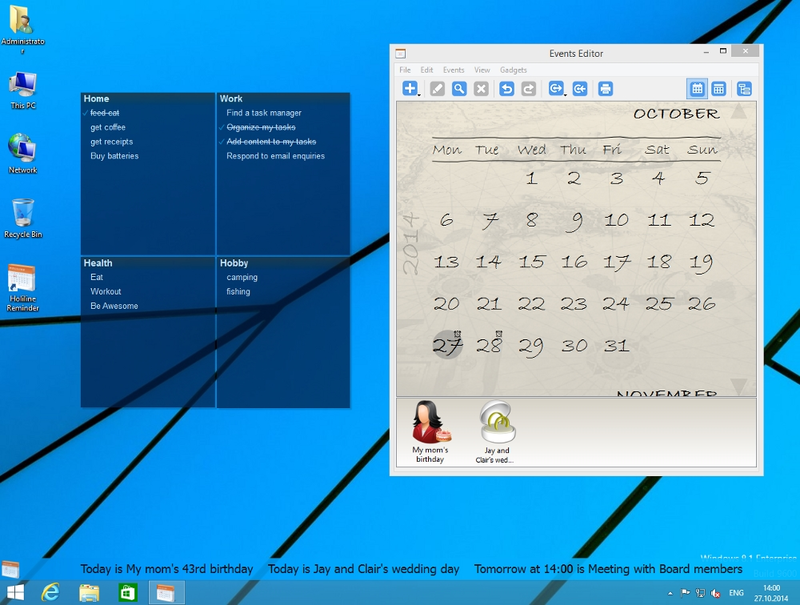 Holiline Reminder™ is made to satisfy even those who need a professional tool for work and home. 1. 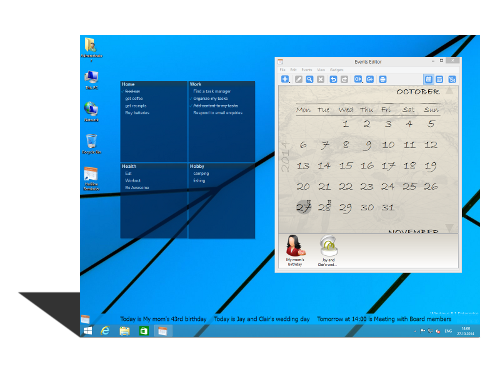 Holiline Reminder™ supports the creation of multiple calendars and of the importing of calendars from other applications. We have gathered the most popular holiday calendars for you. 2. Experienced users can create new event types. 3. 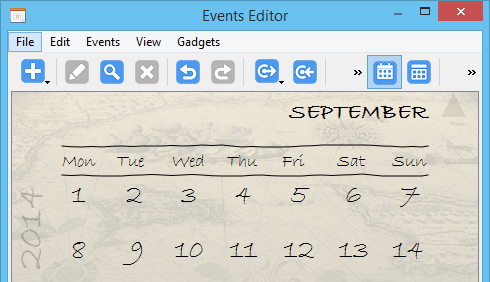 Events Editor supports filtering by a calendar and an event type. 4. Holiline Reminder™ has professional printing capabilities.